Dr. James O’Dwyer is an Assistant Professor in the Department of Plant Biology and the Carl R. Woese Institute for Genomic Biology at the University of Illinois, Urbana-Champaign. He was awarded a master’s degree in Physics from the University of Durham, as well as a master’s and PhD in Theoretical Physics from the University of Cambridge. 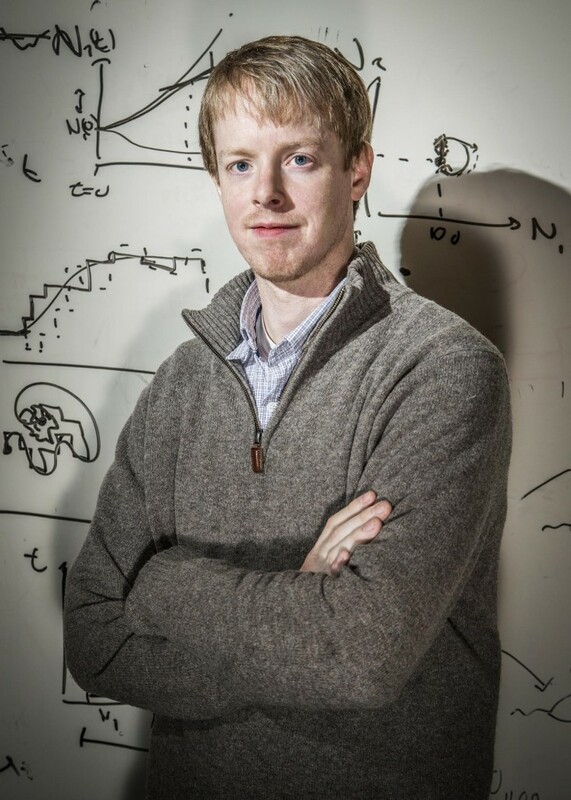 James was awarded an Engineering and Physical Sciences Research Council Postdoctoral Fellowship conducting research at the University of Oregon and the University of Leeds in the United Kingdom, and he was also awarded an Omidyar Postdoctoral Fellowship at the Santa Fe Institute before accepting his current position. James is here with us today to tell us all about his journey through life and science. James has recently welcomed his first daughter into the family and has been keeping busy taking care of her and trying to catch up on sleep. He also enjoys hiking, traveling, and strategic board games like Settlers of Catan and Ticket to Ride. The research in James’s lab uses computational and theoretical approaches to better understand the patterns we observe in the world. He is an ecologist and is particularly interested in biological complexity. The goal of his lab is to build models and make predictions that will provide us with novel and unexpected information about how nature works. In High School, James planned to go to university to study English literature. His major rapidly switched from English to math and then to physics. James really liked how physics gave him a way of understanding the world and solving problems. The transition from physics to ecology happened later in James’s career during his postdoctoral work. During this transition from physics to ecology, James was experiencing a lot of uncertainty. Switching to a completely new field brings with it a lot of challenges. For James, this pivot also involved moving from Cambridge to the University of Oregon which was a dramatic shift in culture. To get through these tumultuous changes, James developed as set of questions to systematically evaluate how he was doing, and these three questions have been key in his subsequent transition periods. Right now, the most exciting success for James is his young daughter. He was able to take two weeks of paternity leave, and during that time had a string of fantastic successes come to fruition. One of his papers was published and he received word from two different foundations that they would be funding his research. All the while, his students were keeping research going in the lab, and James was beginning to feel like he should go on paternity leave more often. One conference that really stands out in James’s memory was a conference held in a town called Aranjaya in Sicily. The conference was held in a beautiful old monastery. James particularly enjoyed the history of Sicily and the way newer elements were layered on top of the old in culture and architecture. He will also never forget a surprising experience when a bat flew into his room during his stay there. As a new postdoc in the lab of a new investigator, James participated in the lab’s endeavors to introduce themselves to the rest of the department during their first departmental retreat. Rather than stick with the traditional poster, they wanted to do something unique. They ended up making a fun video starring all of the lab members, and this was a really memorable experience. Be sure to follow your nose in science. Also, there is no point in asking questions in science if you are not desperately interested in what the answers are. Research in the O’Dwyer lab is interdisciplinary, seeking to identify the broad processes that drive complex ecological systems, and addressing these questions with tools drawn from biology, bioinformatics, physics and mathematics. Outside of the lab, James enjoys the great outdoors, board games, home renovation and spending time with his wife Allison and new daughter Alden Frances.